Powerful IoT Platform for your machine data. 100% powered by the REST API. This means you can access all data & functionality using a single API call. The API also lets you integrate all functionality into your own applications and tools. Aggregate millions of data points into a single value in milliseconds. See near real-time updates of every single machine in your fleet. This level of performance is simply essential in a data driven world. 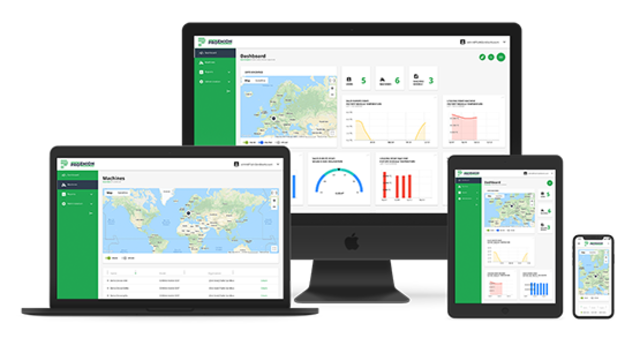 The Data Platform can connect millions of machines into one data network, while offering continuous 2-way global communication across your entire fleet. You can also connect any machine currently in service, using one hardware unit connected to the CAN-bus. We offer you incredible flexibility & numerous custom options, to meet ALL your exacting requirements. Just ask us if in doubt. Built for Developers. Made for Business. 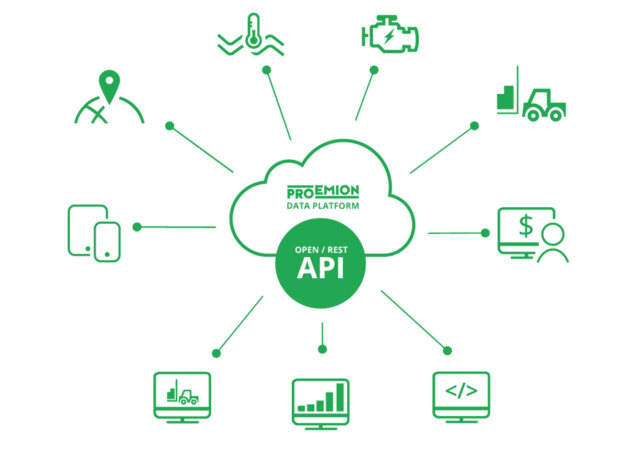 Since the Data Platform is 100% powered by our REST API, this gives your developers complete control over your solution. You have complete freedom to build anything you want on this platform. Built for Big Data. Made to Perform. In an ever increasingly data-driven world, you need the computational power to back up any modern telematics and data analysis solution. You will have all the performance you need to power any service(s). As a cloud-based platform, you can easily scale to any level you require today, and in the far future. Thanks to the API, you can also create or modify anything you want to meet any exact requirement. Our Data Platform provides powerful algorithms to get the most value out of your data. 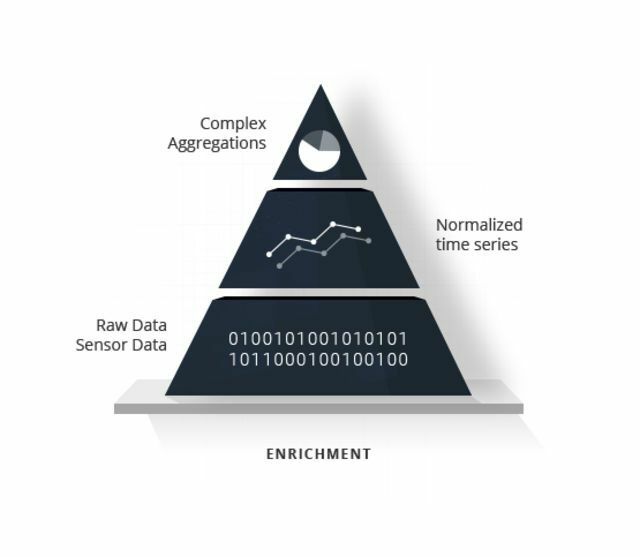 Turn raw sensor data into normalized, structured data sets, and apply multiple aggregations to them as needed. The Data Platform will automatically collect all available data without any human intervention (after setup). This can include billions of data points per day, all stored and processed for you behind the scenes. The Data Platform will automatically structure the raw data for you, so it can be used for analysis almost immediately. Naturally this process also reduces data redundancy, while improving data integrity. Our algorithms let you apply multiple complex aggregations to massive data sets, while returning results in milliseconds. This lets you analyze highly accurate data, without sacrificing service performance. Your customers expect access to their machine data, and also demand useful data-driven services & applications. If you do not offer them, then your competition most certainly will. Give your customers what they want (and more). The platform supports any application or service the requires telematics and/or big data services. Competitive pressure is no small matter. You could spend years + millions creating a basic telematics service, or get a complete one from us right now. You need to justify the cost of providing telematics & data services. Luckily our platform opens up a whole new field of value adding opportunities. We only charge one predictable fee for our services. Any revenue you generate from our platform is yours to keep, so feel free to try anything you want. Your organization is part of a heavily regulated industry, and likely so are your customers. Your legal team helps you understand these laws, but we help you comply with them. Telematics devices are compulsory in vehicles sold in areas like the EU and North America. You simply cannot afford to ignore these markets. Proving compliance is very important, and we make it easy for you. Accurate and easily traceable data, updated continuously from every machine. Determining fault and settling claims is much easier, when you have access to all the relevant data. This is why we store all our collected data in the cloud. Combining 2-way telematics with data analytics, offers you a plethora of options for improving safety, and finding ways to become greener. Machine data analytics helps you harness the value of your data to identify trends & opportunities. This means smarter business decisions, more efficient operations, and ultimately happier customers. The Proemion Data Platform offers you significant cost advantages, combined with the ability to quickly acquire new data and analyze this information almost immediately. What better way to identify trends, than by using the combined data collected from every machine you ever make. Base your decisions on always fresh, transparent, and verifiable data – delivered to you automatically and continuously. Imagine the products & services you could create, using the sheer power and flexibility offered by the Data Platform. Connect all your machines into one global network, including any machines currently in service (with available CAN port). This means no more data silos or mixed fleets! All our solutions include multiple end-to-end security options & tools to protect personal data. We comply with all the strictest US and EU requirements. Our Data Center is rated Tier IV, thus all our solutions include multiple backups and redundancies. In most cases services can be restored within minutes. We actively monitor the performance of all our services at all times. You can see the live feed of our system status and incident reports here. We offer Robust, Clean, design. The Proemion API is built using REST architecture. You can make API calls using URLs or URIs, and all responses use JSON. HTTP response codes are used to indicate API errors. We have adopted an "API-first" approach to our software. This means all statistical / analytics functions, as well as all your data points & data sets, are available via the API. The API is all about flexibility. Even if you start with our turnkey options, you can always integrate any functionality into your own tools and applications whenever you want. We have taken the tediousness out of CRUD, so you can focus on building the products you want. You can apply CRUD logic to any business object through a simple API call. We have done all the hard work for you, & we offer you complete freedom to take advantage. We have all the tools you need & a platform to support anything you want to create. What kind of Telematics Solution do You Need? We can partner with your organization and integrate our development teams. Our level of involvement is entirely up to you, but we are always available. We offer numerous turnkey components that let you use our entire solution quickly. Limited customization is available, such as including your own branding. You can also choose a solution somewhere between these two extremes. Some parts can be customized or integrated; other parts can use turnkey components. Evaluate our solution for 3-months with no obligation. Here are just a few of the many possibilities you can unlock with our platform. *upcoming features or currently in development. 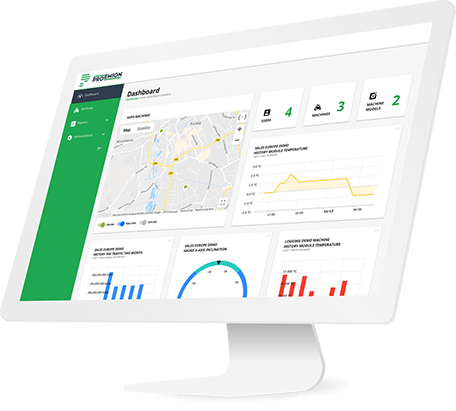 The Data Platform provides your customers and internal teams with all the telematics services and data analytics tools they need in an instant. All they need to do is activate and connect their CANlink hardware (via CAN bus) to their preferred choice of connectivity (for example using the built-in SIM card) – and voila – instant access to their machine data. This is quite possibly the simplest and easiest way to offer a complete telematics service at scale. You can connect any vehicle or machine into the Data Platform, simply by using our CANlink hardware (via CAN bus). This can eliminate data silos, extend the useful service life of your machines, and bring all the benefits of modern telematics technology to your entire fleet. As long as there is a CAN port available to plug in the unit, it can be connected to your data network in seconds (via the Data Platform). It does not matter if the vehicle / machine is 5, 10, or 20+ years old – all you need is a CAN port. The Data Platform is a cloud-based solution, and accordingly takes advantage of all the benefits therein. This means your solution can easily scale to any needed level, and comes with built-in redundancy features to ensure operational continuity. This includes unlimited data storage, bandwidth, computations, and processing. Everything you need to run a massive global data network. You will simply never have to worry about sufficient capacity or service availability to run your operations. Furthermore, all collected data will be indefinitely stored in the cloud of your choosing indefinitely. All data collected by Proemion CANlink units will become available for consumption and analysis almost instantly. The only limitation is the availability of 3rd-party data connectivity (such as mobile data plans from your favorite telecom) which is beyond the control of Proemion. All Proemion CANlink units also offer 2-way data connectivity, which means you can SEND data to your vehicles / machines (for example new instructions or a firmware update). This means you can keep the software on your machines updated at all times, and maximize the service lifetime of all your vehicles and machines. We are highly focused on making it as easy as possible to use the API for any and all telematics functionality. Since the Data Platform is 100% powered by the REST API, this means you can access all data & functionality using a single API call. You can also integrate all functionality into your own applications and tools at any time. For example you can start with a turnkey solution (for example with a test fleet or a limited rollout phase) and then later integrate and customize the entire solution to fit your precise needs. While you can customize just about anything you want to in our telematics solution, we also offer a number of turnkey components to help you get things running more quickly. This reduces the development time and effort required to offer a complete telematics solution to your customers and internal teams. You will always have the option to later fully customize and/or integrate all functionality into your own tools and applications. Since you can have a fully working solution ready in less time (using turnkey components), you will have no need to rush pushing out your custom tools. Services powered by the Data Platform can be deployed anywhere, to anyone, at any time - and there is no user or device limit. This means you can deliver Telematics Service to all your customers and internal teams, whenever you want and at a moment’s notice. All you need to do is turn on the CANlink unit and wait for the network connection to complete successfully. The connected machine is automated registered in the system, and all available data becomes immediately accessible through the Data Portal. There is no limit to how many devices / machines you can register in the Data Platform. Strict Data Privacy policies. For example we only use customer data to provide services (never for advertising purposes). Anonymous machine data may be used to improve services and performance, but only with your authorization. Your feedback is crucial for helping us improve our technology, capabilities, and services. This is how we designed and built the Data Platform in the first place, and this is also why we prefer to work closely with our clients at all stages of engagement. You, your team, and your customer feedback are the best sources of information for learning where to improve and what features to build next. We are actively improving the Data Platform on a continuous basis, which is again why your feedback is so important to us. Some of the key activities we are focusing on is adding more functionality, improving performance, simplifying integration - and making it even easier to manage large data sets. Big Data is already the heart of any good Telematics Solution. While we already offer many tools, lots of flexibility, and great performance - this does not mean we will be standing still in terms of development. We are always working on creating new features, improving service performance, and developing more sophisticated data algorithms. You can see some of the more interesting developments here, and you can also sign up for our newsletter to keep informed of new releases. Our aim is to take all the pressure off your organization, so you will never have to worry about your telematics services again. We work exclusively with telematics and machine analytics, which means you can focus your efforts entirely on your core business operations. Our ultimate goal is to create a platform that will enable and power Machine Learning and Machine Intelligence for our clients. This means machines that can perceive their environment, and take actions that maximize the chances of success in a specified goal – specifically by “learning” and “solving problems” encountered in new and unique environments.